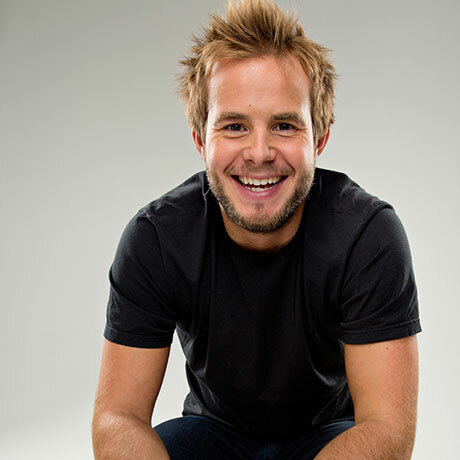 A highly regarded young stand-up and comic performer, Jimmy performs on the UK and international comedy circuit to great acclaim. He is also a highly sought after TV warm-up, working for Channel 4’s Deal or No Deal, ITV’s Loose Women, BBC Three’s Two Pints and Coming of Age and Channel 5’s The Justin Lee Collins Show. Jimmy has supported Chris Addison and Simon Bird on tour, co-presented the Dave Gorman radio show on Absolute Radio and provided voice-over and character work for ITV Mobile cartoons. Recently Jimmy performed stand-up on BBC Three’s Russell Howard’s Good News. He took his first solo show, ‘Jimmy McGhie’s Northern Meeting’, to the Edinburgh Festival in 2009 receiving rave reviews and returned in 2010 with new solo show ‘Jimmy McGhie – The All-Powerful Warrior Who With His Endurance And Inflexible Will To Win Goes From Conquest To Conquest Leaving Fire In His Wake’. In 2011 Jimmy returned to the festival with new show ‘Jimmy McGhie – Artificial Intelligence’. All Rights Reserved. © Copyright Mary Tobin Presents 2018.